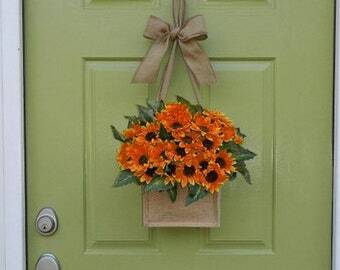 These artificial blooms will brighten up your summer day. 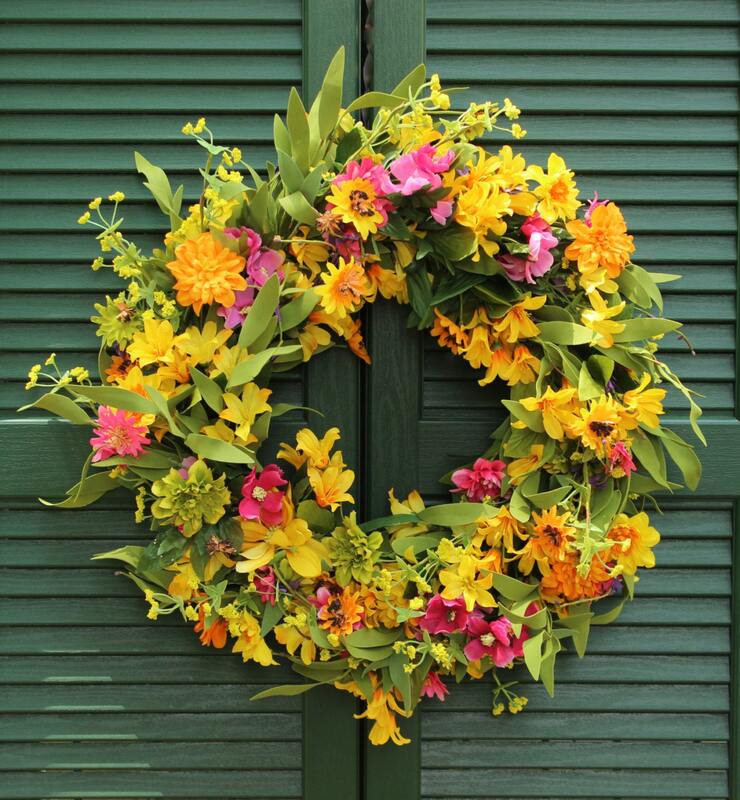 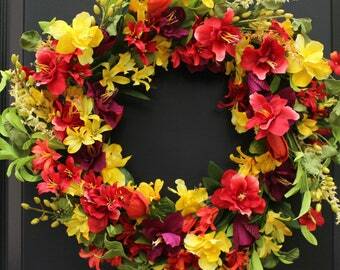 This wreath will work from spring to summer to the early fall season. 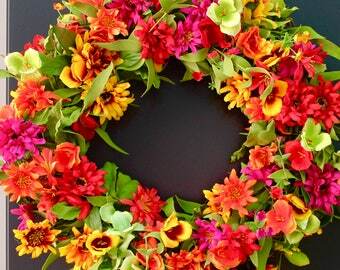 Each wreath is handmade especially for you.